So we’ve got winners! 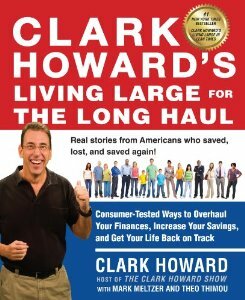 Four lucky folks are going to be getting a signed copy of Living Large for the Long Haul in their mailbox next week. Here are the three twitter followers that won: @Busterbrown1404, @monkey9627, and @rwfelty. Thanks so much for following and congratulations. As promised I’m also giving away a book to an e-mail subscriber. L White will be receiving their book in the mail next week too. If you didn’t win I still appreciate you playing. There will definitely be more giveaways in the future. So stay tuned for those. And for now, go out there and nab one of Clark’s new books. It seriously is my favorite book he’s written. Waiting until it comes to the library wouldn’t be a bad idea either.